I also really enjoyed the book itself. The storyline definitely reminded me of the Hunger Games series, but not entirely. It has that tone of what our world would be like far out into the future past the civilization we currently know. 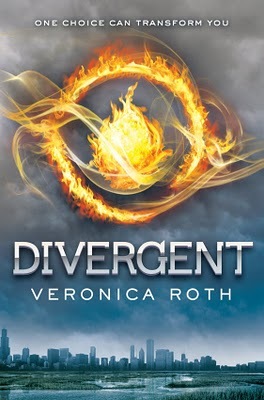 The main character, Beatrice Prior, depicts the entire story from her point of view. The story takes place in Chicago (from the landscape cues in the book as they don’t mention the city name) where society is split into 5 factions: Candor (the honest), Abnegation (the selfless), Dauntless (the brave), Amity (the happy/peaceful), and Erudite (the intelligent). I got sucked right into the story and finished the book within a week or two! I’m about halfway into Insurgent, which is the second book of 3 in the series. (my boyfriend got me the collector’s edition trilogy for Christmas, so I own all the hardbacks 🙂 ). It’s just as good if not better than the first. The story keeps me on my toes, and I enjoy that I can’t easily guess what will happen next. I’m excited for the Divergent movie premiere in March 2014 too! I think reading a book before watching the movie is usually the best experience. If you’ve read the book, what faction would you be in? I think I’m a mixture of Amity and Erudite – Overall, I definitely recommend the book! What’s the Big Deal with Cleansing Water?